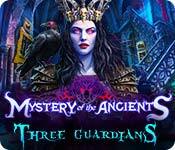 Mystery of the Ancients: Three Guardians is rated 4.6 out of 5 by 53. Rated 5 out of 5 by Majestyx12 from Great value for your Money This standard version is very long with 11 chapters, beautiful and fun. 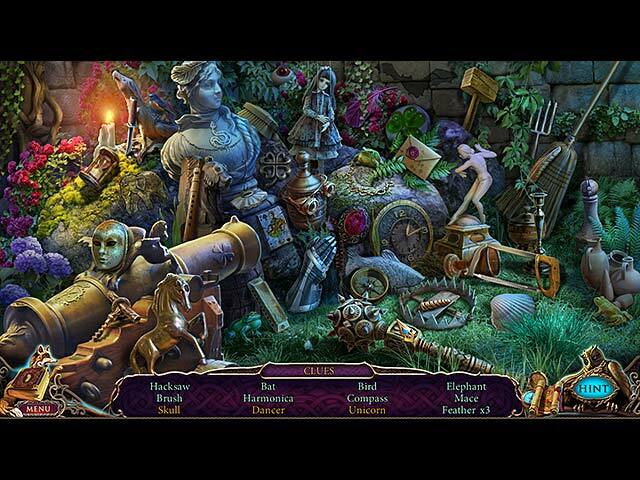 It's a true hidden object game with 17 hops and relaxed mini-games. Most hops are interactive with a little mini-game in some. The hops are large and beautiful. I would call them lovely. To give you a taste of the game. It has a place that has a tale of Greta and the Guardian of the Forest. You have nature, flocks of crows, animals and castle. The hedgehogs are cute. There is dark magic and a amulet. The relaxed puzzles have a whack a mole type game, matching pairs, Simon said, shooting balls, jigsaws and lots of dot to dot. Some dot to dot, hid the numbers for a while and in one, the numbers are backward. I love this game so much I want the Collector's Edition. This is the third in the series. If it sounds fun to you, give it a try. Rated 5 out of 5 by sbechirian from Never too late! This is an old game now. Must have 3 years old but works really fine on my new Windows 10 laptop. The game is ''really'' long. Most of the time I get bored when a game is too long; reason why I don't buy collectors often. But the game was so pretty and so nice that I start to feel curiosity for ''what next'' and the bonus game. Hope you will enjoy this game as I did! 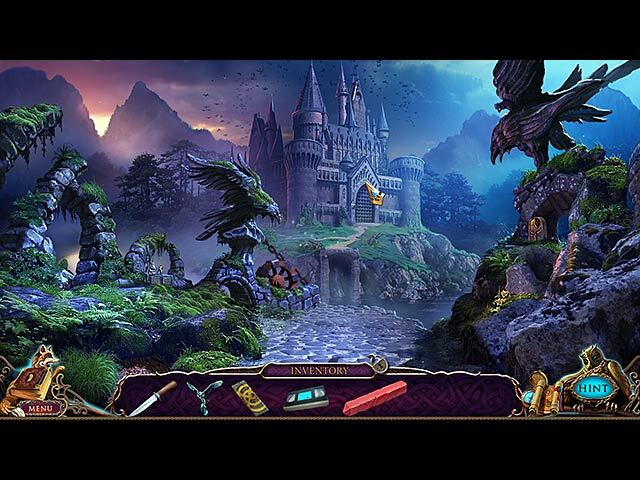 Rated 5 out of 5 by jewel_43 from One of the Best Games I have Played Another fantastic game from Mariaglorum games! I absolutely loved it! 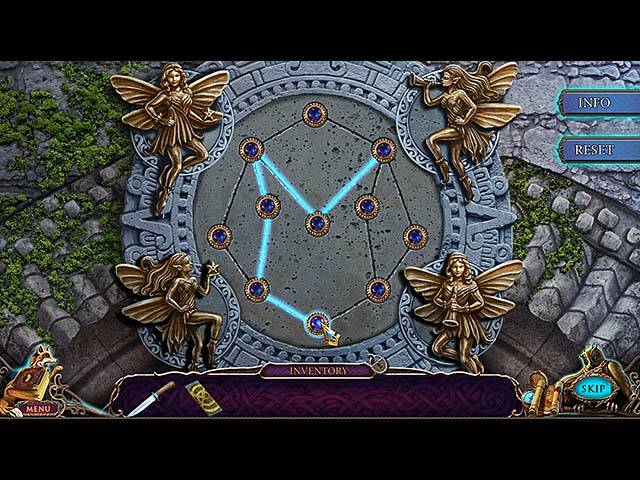 Everything about Mystery of the Ancients The Three Guardians was great including the background music which is one of the first things I notice about a game... especially when the music reflects the suspense of the storyline which this one does. Rated 5 out of 5 by Yanie1020 from Still Going! I've been playing (off and on) for two days, and I'm not even close to being finished! Truly one of the longest games I've ever played, and this is the SE! Big Fish kept telling me I would love this game, but for some reason I kept passing it over. Sure glad I finally paid attention and purchased it. One of the best ever, in my opinion, but not only because it's very long. It has great graphics, nice HOS's and puzzles, and even the music is good. The little girl's voice is terrible but I can overlook that because of the other great qualities of this game. Just buy it! Don't overlook it like I did! Rated 5 out of 5 by gamegirl21 from Truly a FANTASTIC GAME!! CE This came was truly enjoyable!! Great storyline that continues to build on itself. I do get tired of the basic HOGs, so I enjoyed the fact that it included some of the slightly different HOGs and various puzzles. And the game length was superb!! Even if you purchase the SE you will not be disappointed. Rated 5 out of 5 by deddu from Three Guardians Excellent SE game. I loved the mini-puzzles (especially the connect the numbers -- reminded me of being a kid) and the hidden objects are interactive. The hint button is very helpful and you use most of your inventory soon after obtaining them. I also liked that it had a map that showed you areas to complete.